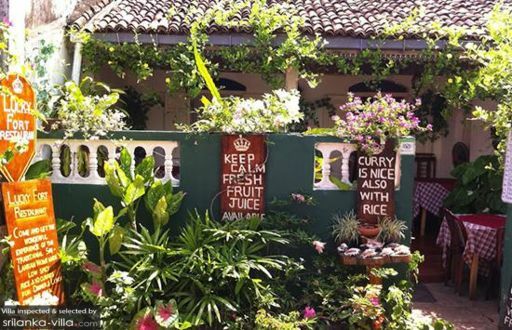 Villa travellers in the mood for savouring local Sri Lankan fare should make a stop by Lucky Fort Restaurant. The restaurant has a charming setting, with seats situated indoors, as well as outdoors in the lovely garden courtyard. On most evenings, the eatery is well-filled with diners hungry for its curry sets for two. A total of ten curry dishes are served in the set meal, along with steamed rice and crispy pappadums.